Managing email is a major task. Knowledge workers spend 28% of their time on email.-bakadesuyo.com. Luckily, there is lots of information available on how to handle it. Listed below are a few links to articles I have found helpful. 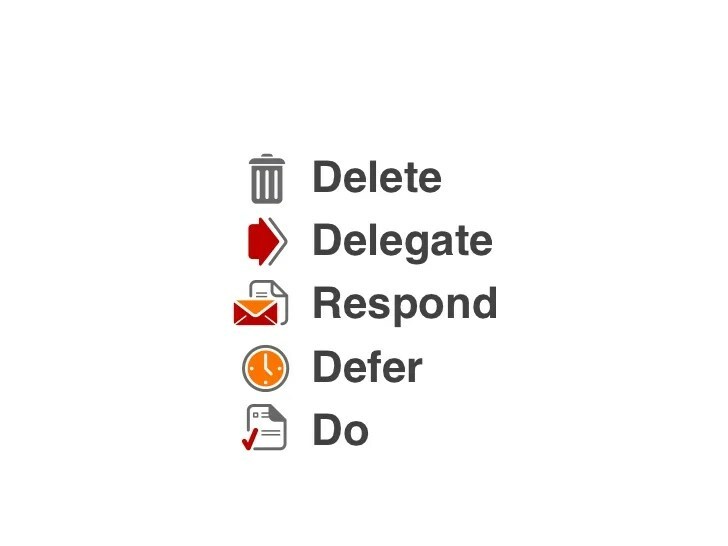 The four D’s for decision making are similar to the ones for paper management. Getting To Done: email triage at Lifehacker describes a folder system. Tips for Mastering E-mail Overload by Stever Robbins. Melin Mann at 43 Folders has an “Inbox Zero” series. Here is a slideshare. For those interested in Getting Things Done, Gmail has a GTD Firefox extension. ‹ Am I making this too difficult?